The Stoddard Cancer Physicians include three radiation oncologists that are located in the Stoddard Radiation Oncology Department - Robert Isaak, M.D., John Triantafyllos, M.D. 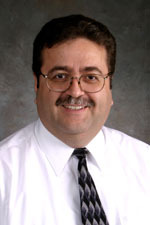 and Arshin Sheybani, M.D. These physicians provide the most technologically advanced radiation oncology department in Iowa and continue to lead the way in cancer care. Dr. Triantafyllos is board certified by the American Board of Radiology and has over ten years of experience as a radiation oncologist. He received his undergraduate degree from UCLA and his medical degree from the University of Health Sciences at the Chicago Medical School. Dr. Triantafyllos completed an internship in internal medicine with the University of California, Irvine Medical Center, and his residency with The Johns Hopkins Hospital Division of Radiation Oncology. Prior to joining Stoddard, Dr. Triantafyllos was in private practice at the Hollywood Presbyterian Medical Center in Los Angeles as part of the Radiation Oncology Consultants Medical Group. 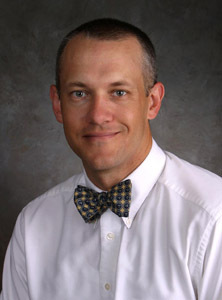 Robert J. Isaak, M.D., Pharm.D. Dr. Isaak is board certified by the American Board of Radiology. He received a doctorate in pharmacy from Idaho State University College of Pharmacy and a doctorate in medicine from the University of Nevada School of Medicine. He completed an internal medicine internship at the University of Nevada School of Medicine and most recently completed his radiation oncology residency at Wayne State University and the Detroit Medical Center. Dr. Sheybani completed her undergraduate education at Louisiana State University and medical education at LSU Health Sciences Center in New Orleans. She completed an internship at Iowa Methodist Medical Center in general surgery prior to completing her residency at the University of Iowa Department of Radiation Oncology. Anne received her undergraduate degree from Loras College in Dubuque and obtained her Physician Assistant degree from the University of Wisconsin-Madison. Our physicians and therapists are available 24-hours-a-day, seven days a week to accommodate patients and referring physicians in the event of an emergency.